Books – Wake Up and Laugh! Take this pillar as your center, and strengthen your ability to let go. What an incredible collection of Dharma talks by Seon Master Daehaeng! So down to Earth, yet they contain such sublime teachings for all humanity. A wonderful audio edition the best selling book! If you haven’t read the book, these are kind of differentstories! While some are very traditional Buddhist tales, most are like nothing you’ve heard before. A woman who wants to sell her mother-in-law…. Yet the endings and Daehaeng Kun Sunim’s explanations are really satisfying. It feels like they scratch an itch so old we stopped noticing it. Go ahead and take a listen! 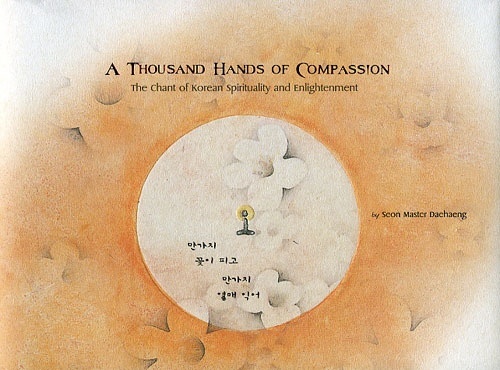 In this collection of thirty-three stories, one of Korea’s foremost Seon(Zen) masters introduces the richness and depth of Korea’s Buddhist tradition. With humor and insight, Seon Master Daehaeng shows us our inherent potential and demonstrates how we can face the challenges of life with wisdom and vigor. In this new collection of Dharma talks, Seon Master Daehaeng shows us everything as a part of ourselves – nothing is separate. A collection of Daehaeng Kun Sunim’s teachings that have been organized by topic, ranging from practice in daily life, to the meaning of Buddha-nature. Open it anywhere, and just start reading. Excerpted from the Korean book, Principles of One Mind, with a foreword by Robert Buswell. 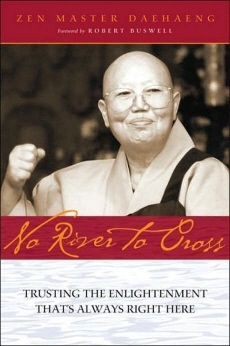 “No River to Cross speaks directly and simply from the heart, much in the manner of Shunryu Suzuki’s Zen Mind, Beginner’s Mind. Master Daehaeng’s ability to penetrate the skin with plain and pointed words should give this work the same longevity.” — Francisca Cho, Georgetown University, translator of Everything Yearned For. When you buy directly from Wisdom Publications, you help them to keep putting out great books on Buddhism and spirituality. When you buy from the publisher, they get the entire amount, whereas they get less than half of the cover price when a book is sold through other bookstores. Wake up! Stop being deceived by your attachments, fears, and dualistic thinking. The truth you are searching for already exists everywhere in your daily life. When you realize this, you’ll laugh until your sides hurt at how much effort you spent to discover that you are yourself! The wisdom and deep compassion of one of Korea’s foremost Seon(Zen) Masters shines throughout the five Dharma talks that comprise Wake Up and Laugh! With clear insight, Seon Master Daehaeng emphasizes the role of our fundamental mind, our Buddha-nature, across a wide range of topics from family and business problems to death and mental illness. A collection of inspiration and wisdom, seen through the tales of housewives and kings, bandits and monks, and the deep mountains of Korea. 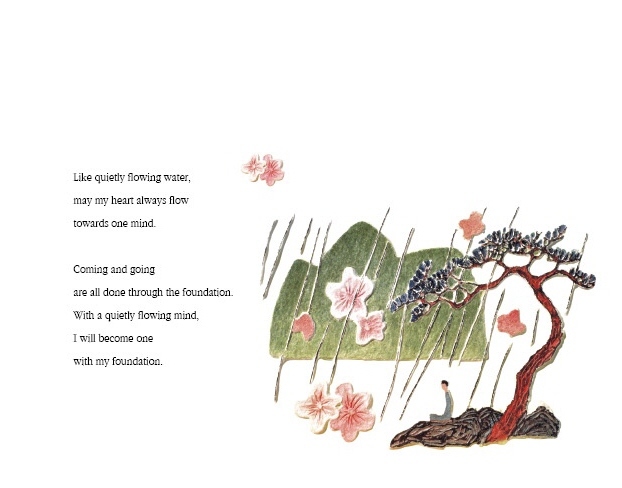 In these thirty-three stories, one of Korea’s foremost Seon(Zen) Masters shows us our inherent potential and teaches us how to live with dignity and courage in any circumstances. Appealing to both children and adults, these stories are drawn from the rich Buddhist tradition of Korea and reveal the unseen dimensions of our lives while showing us how to become true human beings. are all done through the foundation. In September 2010, A Thousand Hands of Compassion was awarded the IF Design Award in the “Communication“ field. It turns out this is kind of a big deal in the design world. Congradulations to Su-yeon Park, who did the design and layout, and to Hyo Rim, who provided the original artwork. They really did a great job. Who is a bodhisattva, what is a bodhisattva? is such a person really a bodhisattva?A thousand times No! and saves the lives in front of her. Bodhisattvas shine forth pure light upon all. the tender compassion of a thousand Bodhisattvas rushes forward. but a thousand eyes overflowing with every aspect of compassion. 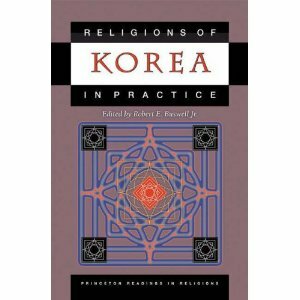 This book has a chapter about Buddhist prenatal education in Korea, as well as Daehaeng Kun Sunim’s teachings about this (called taegyo in Korean). In the spirit of full disclosure, I wrote it as well as the one in the next book, but there are some really interesting ideas here, and I had a great time exploring them as I wrote the chapter. I became interested in the topic after seeing so many children at our centers who just seemed to be so much more spiritually aware than I ever was at that age. I wanted to look into how their parents practiced, and how that contributed to their children’s development. Many of the parents also explained what Daehaeng Kun Sunim had told them about prenatal education in the course of private interviews with her. 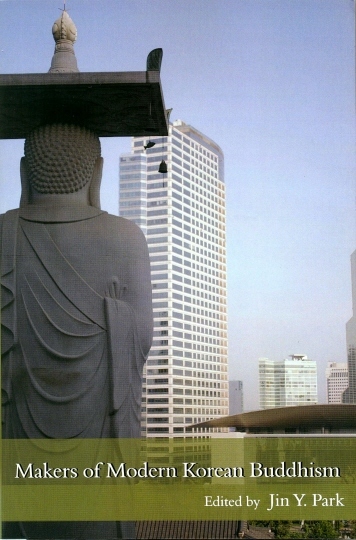 This is quite a nice volume about modern Korean Buddhism, with many chapters about key figures. It has a chapter on Daehaeng Kun Sunim, and her teachings about spiritual practice, especially with regard to the idea of “Doing without any thought of doing.” There are a couple of things I’d like to rewrite (I wrote the chapter five years ago), but on the whole I’m happy with how it came out. Who are the other key figures covered by “Makers of Modern Korean Buddhism”? I’m trying to find something digestible on Seong Cheol Kun Sunim, and to have him covered in the context of other major figures would be ideal. It sounds like you’re looking for a twentieth century history of Korean Buddhism? There’s some good stuff in Korean, but not so much in English. Aside from that, I think you’ll have to use google to put together a history of Seong Cheol Sunim. He relations with other sunims of the day who weren’t in his group won’t be easy to find, though. Let me know if you have any specific questions I can help with.